Two weeks ago we were lucky enough to win a SPARKie award. It’s taken us this long to recover, we were happy enough to have been nominated but a win was entirely unexpected. It’s time to say a few thank yous. The full list of SPARKies winners can be seen on their website. There were some really fantastic local organisations among both the nominees and the winners. 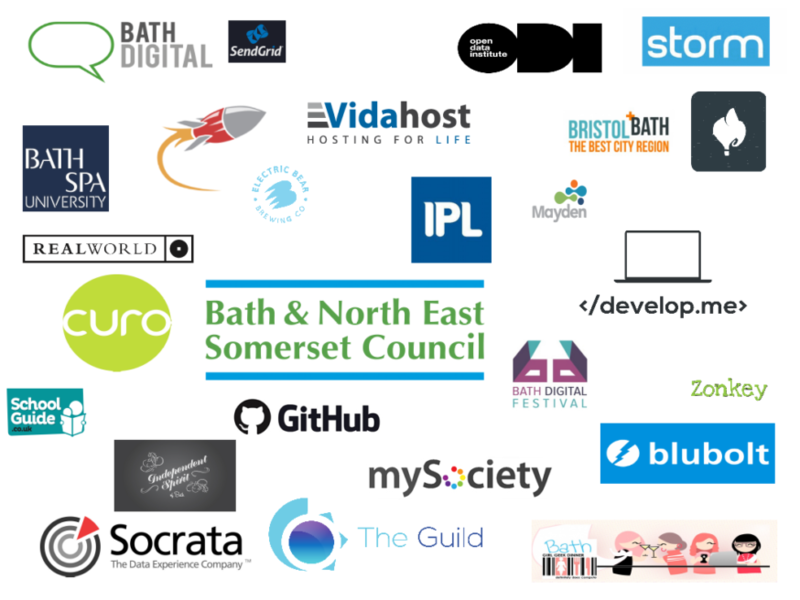 The tech scene in the Bristol and Bath area is really amazing and has grown tremendously over the last few years. 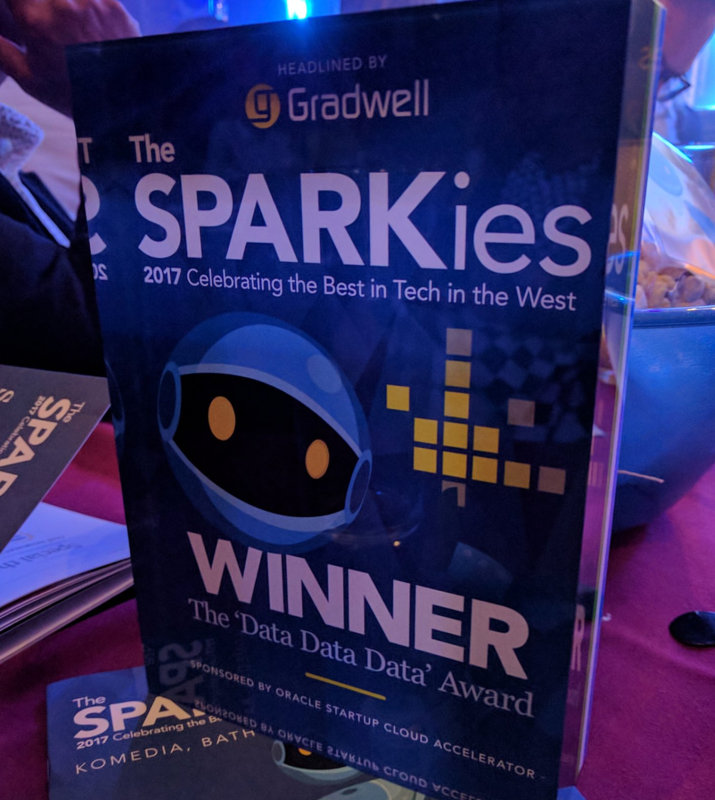 Our award was in the “Data, Data, Data” category. A topic we know a bit about! But then, so do the other nominees in that category, which is why we were stunned when we received the award! Congratulations to all the other nominees. The fact that we’ve been able to achieve so much over the past few years is a testament to the commitment and effort of the local community. It’s all down to the volunteer effort of people in the council, the tech community and beyond. It shows that there’s genuine interest amongst local developers in sharing their technical skills for the benefit of the wider community, And a broader desire to share what we know about the local area. With better access to data, and the tools and skills to use it, we can make more informed decisions about how we all live in, work in or visit the area. So much of what we’re been doing, from keeping the data store running, organising hack days and running our regular meetups has been enabled by the support of a wide range of startups and businesses. We’d like to say a big “thank you” to all of them for their support. A number of these organisations were in the audience or were nominated for their own awards, so it was great to share the event with you.